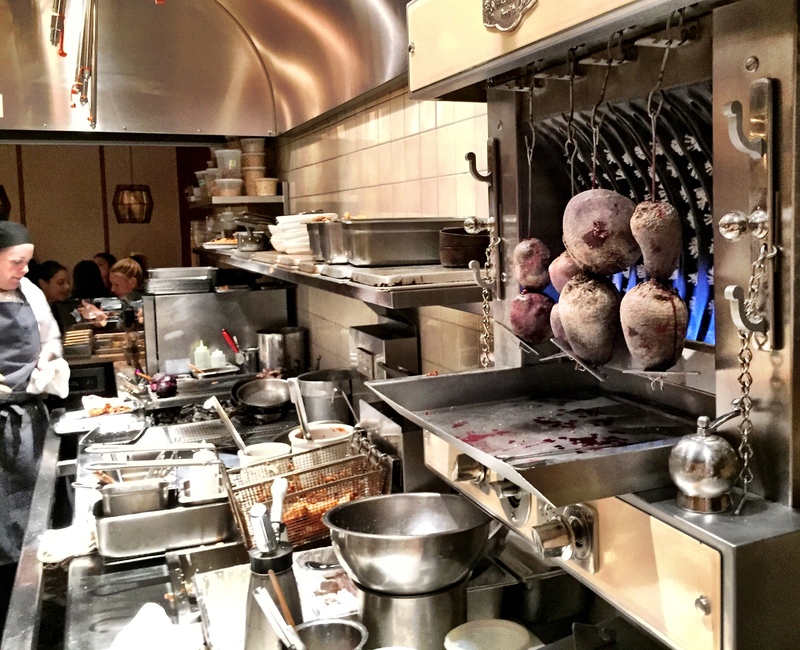 From the quiet – yet determined success at his Upper West Side boutique bistro Dovetail, Michelin star chef John Fraser has solidly joined the farm-to-table sprint with his new-ish East village sensation Narcissa. 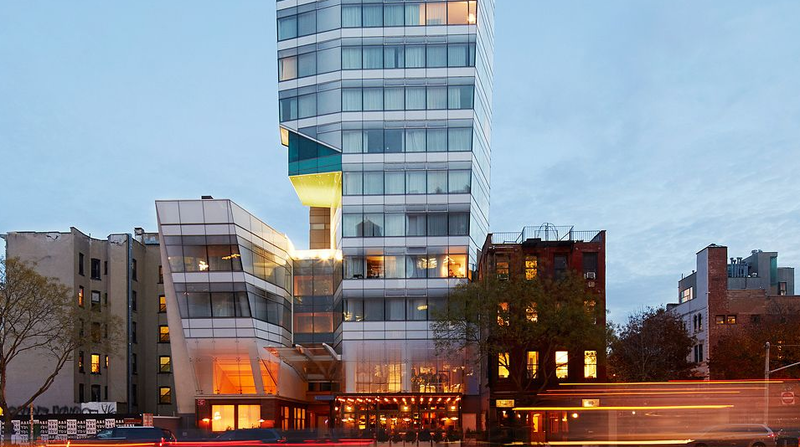 The buzz surrounding the opening of a lobby floor restaurant in the Standard Hotel has been squarely centered around his reinterpretation of vegetables as the main event – and with good reason. Sure, the menu is rampant with options for the omnivore in all of us. You’re very likely to find a wonderfully fruit flavored Lacquered Duck Breast with cranberries calling your name, or perhaps the whole Baby Chicken roasted with spicy sausage and oats will make you weak at the knees, or maybe tonight’s the night you’re going to surrender to that 24-oz perfectly marbled Bone-in Prime Ribeye that pushes all your buttons – but if you feel like thinking outside of your knee-jerk safe zone, this is the place to do it. Just as the menu has two strong forces at opposing ends, the restaurant itself is also at odds with two very different dining spaces. The more socially expected, hotel bar/lounge/lodge that spills out onto a terrace, and the behind-the-scenes collection of chefs tables anchored by a white-clad team of toques prepping, stirring and plating with hardly a single glance above the horizon of their stations. There are a few instant giveaways that this ain’t no ordinary kitchen. Could it be the open-faced multi-skewer grill with what looks like lumps of coal twisting and turning before a blue flame? 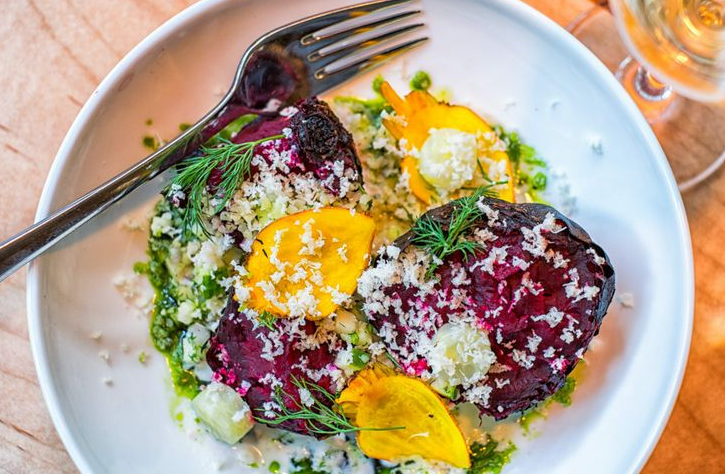 Turns out these are the Rotisserie-Crisped Beets that are being tortuously roasted for hours until they yield the texture of a sirloin steak – not to mention a heavenly flavor that beats any beets you have ever tasted. There’s a certain salty-sweet smokiness that combines magnificently with the creamed horseradish and Granny Smith apple chunks. 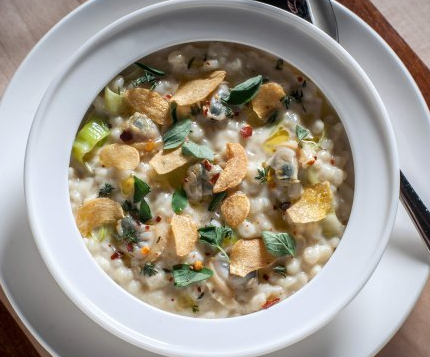 There’s probably at least one risotto on most menu’s in the tri-state area, and the quality of “riso” can range from hyper-dry to über-soupy, but instead Fraser uses barley for his Little Neck Clam Risotto, which is nuttier, creamier and immensely delightful thanks to the abundance of fresh oregano. While the flavors were all there, the texture of the Potato Gnocchi with butternut squash and sweet chestnuts was either slightly over-worked or over-boiled, calling into question my table manners and my sense of balance required to elevate a single doughy knob out of the plate and into my mouth in (at least) one journey – but the real reason everyone is here (and the reason the city is still hard at work widening the streets around Cooper Square), is because of the magnetic appeal of Frasers’ Carrots Wellington. 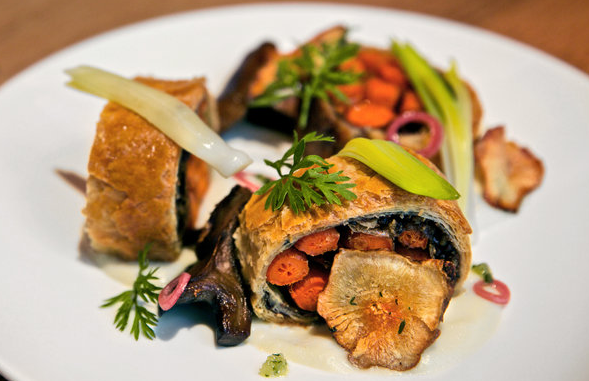 In a David Copperfieldian feat, inside the traditional puff pastry log, a bunch of slender carrots occupies the same cavity where the filet mignon used to be! The texture is uncannily familiar and there are no flavor compromises either. The additions of bluefoot mushrooms with crispy sunchokes and a heavenly gremolata work so harmoniously, that it’s worth considering renaming the first Duke of Wellington’s favorite dish forever.